Abie Loy is the eldest of five children, and was born on Utopia station, about 270km north east of Alice Springs in the Northern Terrirtory. Abie definitely has painting in her blood: being the daughter of Margaret Loy Pula (who won the Wynne Prize in 2012) and Ray Loy Pula. Her aunt is the celebrated artist, Gloria Petyarre and her Grandmother is the equally respected senior woman artist, Kathleen Petyarre. A very innovative mid-career artist, she began painting at the age of 19. She was mentored by her grandmother Kathleen Petyarre, who taught her the methodology of using details and tiny shimmering dotting to create complex optical effects. Over the years, Abie further developed her skills as an artist to become an extraordinarily talented colourist and designer, experimenting with elements of line, colour and form. 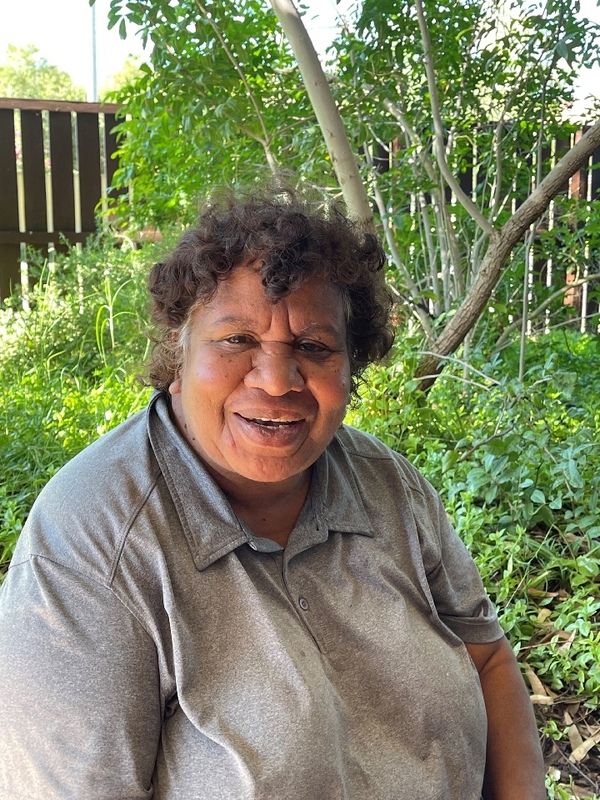 Abie is a custodian of the Bush Hen Dreaming which she inherited from her Grandfather. At the simplest level, her Bush Hen Paintings represent the bush hen travelling in search of bush seeds scattered across the country. Other themes in Abie's paintings are the Bush Medicine Leaf Dreaming, Emu Dreaming, and Sandhills and Body Paint Designs including Awelye. Abie Loy's artworks are held in major collections worldwide. Her Batik works were exhibited in Bali, and her works on canvas have been exhibited widely in galleries in Australia and Overseas. Abie now spends her time between Mosquito Bore with her family, Lake Nash (Alpurrurulam) and Adelaide.